SSC exam notification will be expected to release by the end of this year for several SSC CGL posts. SSC CGL is one of the most sought exams among the youngsters. After clearing this tough exam aspirants can acquire a job in various government departments. SSC CGL exam is not an easy exam to be cleared, it requires immense involvement and study from aspirants behalf. Every year lacs of aspirant appear for this exam due to which competition has increased manifold. 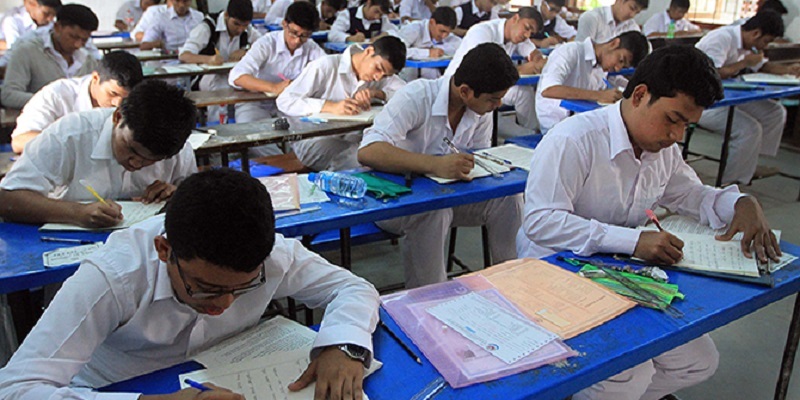 Apart from lucrative salary and reputation in the society, this exam is popular among the students because students from all streams can apply for this exam without any restriction. Students who are going to appear this exam have a lot of questions in their mind such as which are the best books to prepare for SSC CGL exam? What is the syllabus for SSC CGL Exam? Which coaching institute is the recommended to join for clearing SSC CGL exam? Thus, if you are also in the similar state of mind and in a dilemma that how to clear SSC CGL exam without coaching, then go through this article. To churn a profit, coaching institutes have successfully embedded this thought in students mind that they can’t clear SSC exam without coaching. However, this is totally wrong because this exam can be cleared with self-studies. To clear this exam individually go through the following tips and strategies. Most of the students fail to clear SSC CGL exam because they do not give enough time to this aspect. If you want to clear this exam through self-studies, then, first of all, go to SSC CGL website and download the syllabus and analyze it thoroughly. To clear this exam with flying colors, make a study plan according to the syllabus and follow it dedicatedly. Focus on the areas where you are weak and allot more time to those sections. Suppose you are good in English, then instead of giving time to English, give it to other areas where you think are weak and need more attention. Reasoning can either make you clear this or break your chances. You can score full marks in this section. This section does not require so much attention especially if you have an analytical mind and good at solving puzzles. This section requires your presence of mind and analytical ability of a candidate. The most important topics in this section are Analogy, Ranking, Sitting arrangement, coding-decoding, blood relation, an assumption. Practice as many reasoning questions you can do in a day. Don’t follow book formulas to solve the questions, instead of that make your own formulas to solve the questions. There are several reasoning books that you can use for reasoning preparations. These books are sufficient to score excellent marks in the reasoning. This is quite a tough section in the SSC exam. Therefore, you need to prepare this exam in an efficient manner, if you want to see yourself clearing this exam. The syllabus of this section is vast, therefore, you need to prepare for this section sincerely. How to prepare for General Awareness Section? Keep a hawk eye on everything happening around you. You can prepare for this section by going through previous year exam papers. This book is a great resource for those who want to score high marks in this section. The book includes comprehensive material to prepare for SSC exam. You should give enough time to this section as it is important section. This section is designed to test the analytical skills of the student and his knowledge of numbers. The question comes from class 10 level and it is moderately tough. The main sections are mensuration, algebra, trigonometry, geometry, profit and loss, allegation and distance and average. You should give enough time to this section and practice as much as you can to hold the grasp in this section. Time management is very important for this exam. You have to practice question or model test papers to enhance your capability to solve the questions quickly. Since you will be allowed only a limited time to clear the paper. Therefore, you should keep practicing model test papers and keep an eye on the time it takes to complete the test and keep improving it. Don’t forget to revise what you read. You have to revise properly of what you read as it becomes hard to remember everything. Make notes and revise it 15 days before the exam. Write down the short trick and tips to clear the exam. So these are the important tips that you can keep in mind if you want to clear SSC exam without coaching. PREVIOUS POST Previous post: What are the Benefits of Living in The UAE as an expat? NEXT POST Next post: How to Recover Lost SSC Registration Number Roll Number & Admit Card?